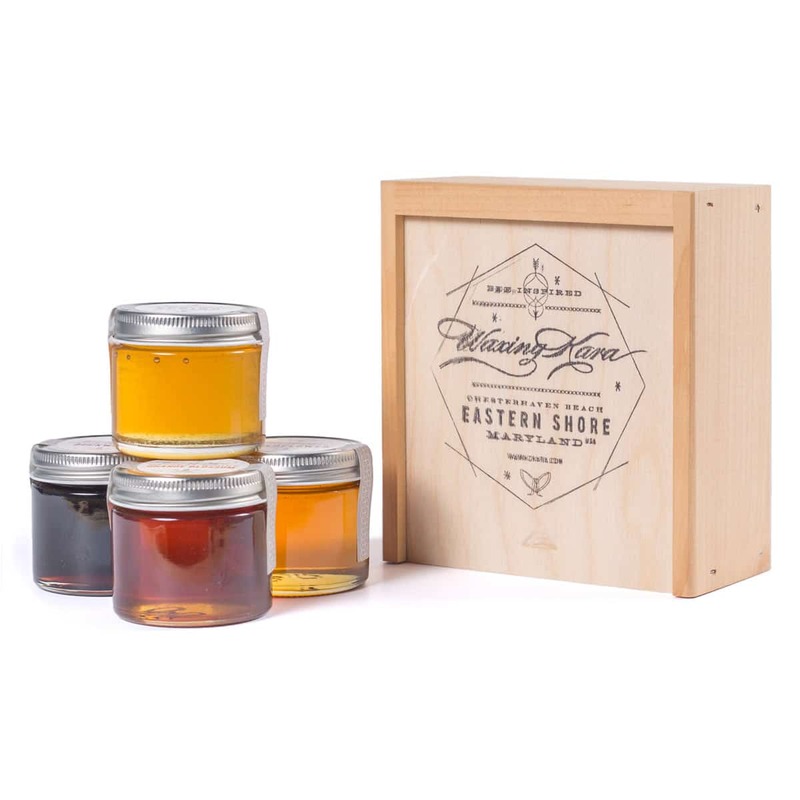 A perfect gift for teachers, hostesses, and honey connoisseurs, our Honey Gift Set features four 2oz jars of our favorite varietals of Eastern Shore Honey. Each jar is raw, pure, and certified Kosher, making it great for Rosh Hashanah dinners and special events. What’s your favorite honey? Don’t know? This is the perfect way to find out! 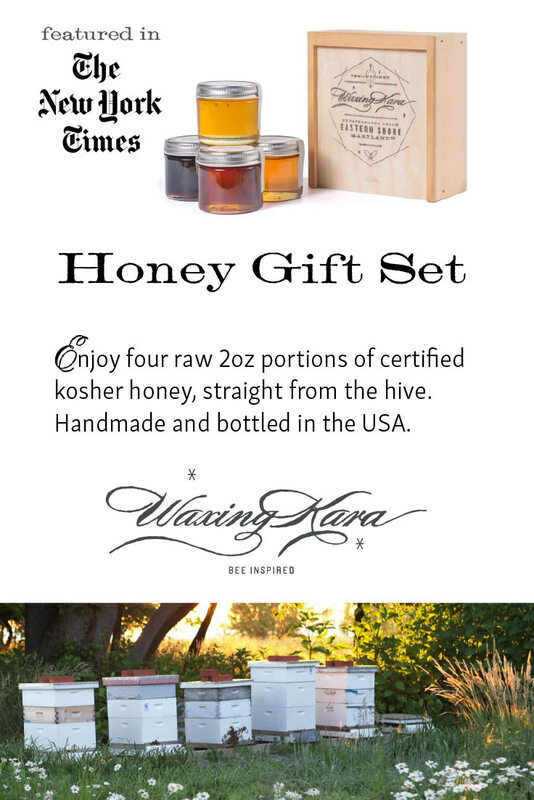 Our Honey Gift Set features a collection of pure, raw honey from our own bees and from beekeepers we work with. A perfect way to sample a variety of honeys before choosing your favorite. Each jar is certified Kosher, so it’s perfect if you celebrate Rosh Hashanah and follow dietary laws. Featured in the New York Times. We’ve packed this gift in a handmade, hand-stamped box. When you’re done with your honey, you may reuse the box for keepsakes or gifts of your own. This gift set is perfect for the holidays, as a little something for the hostess, a wonderful corporate gift to say thank you to your best clients, or a sweet something for your bestie. 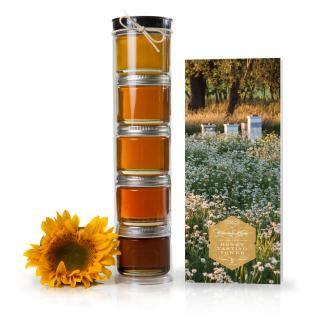 Beyond simple honey party favors, this gift set makes perfect gifts for mother’s day or father’s day. Share a little bee love with this special gift set. This rich, bright, thick, surprisingly sweet and grassy honey pairs well with fresh fruit, tea, and greek yogurt. We bring this to you from the Dakotas where large fields of this clover are planted to enrich the soil. Raw, pure, and perfect for keeping on your kitchen table. It won’t last long, trust us! This season, our Buckwheat Honey is from New York, though at times we acquire it from Pennsylvania. The small white blossoms on the buckwheat plant produce a hearty, strong honey. It is typically compared with black strap molasses and contains higher levels of antioxidants than most other honey. Custom stamp services are available (with four weeks notice) on orders of twelve or more honey gift sets. Additional fees apply for custom services. Please write or call 410-363-2200 for an estimate. We are happy to help with your corporate gift needs. Holiday orders and corporate gift orders in larger quantities may take up to four weeks, order up through the first week of November to accept delivery for the holidays. I came into the shop and bought this box and filled it with my favorite honey. It’s great. Beautifully packaged, and a great way to try different varieties. I bought this for a gift, but I really wanted to keep it for myself! Thank you! Treat yourself next time! I bought two of these gift sets for Rosh Hashanah gifts and they are perfect for this and any other occasion. 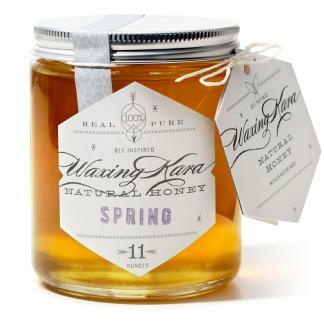 The packaging is lovely and I’m sure the honey will be a treat. I would add that I’m in California and the package arrived very quickly. Thank you Judith! L’Shana Tova!